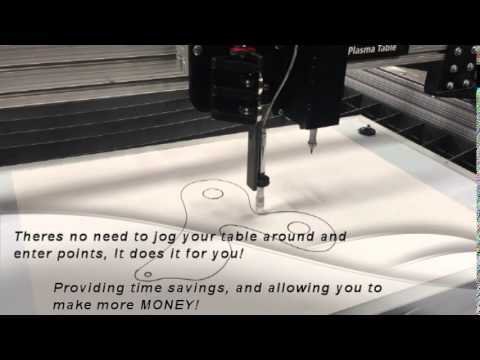 The Auto Tracer turns your entire table into a template tracing machine. So when a customer shows up with a cardboard template of a part with complex curves you wont have to struggle to place it in your CAD. * Auto tracer will not replace manually drawing parts in your CAD. If a part is simple (straight lines ect.) it is always better to measure it out and draw it in your CAD to know that you will get the most accurate part possible. For more information on our Auto Tracer, plasma cutters or our CNC plasma tables give us a call at 1-866-222-2154 or email us at Sales@arclightcnc.com.